William Hartnell was no longer to play the Doctor because of a mix of illness and production team dislike - he was proving 'difficult' and sometimes near impossible to work with, partly due to his failing health. For most successful shows losing your hero would have spelt the end: no leading man, no programme. But for Dr Who a solution was suggested - just change the actor. And as simple as the idea now sounds, it was nothing short of revolutionary in its concept as envisaged for the mystery time traveller. The actor would change, his character would change, but the Doctor would basically remain the same person. But how would the public react to the new face in the TARDIS? The BBC chose Patrick Troughton, TV's first Robin Hood, to take over the role but it soon became clear that the actor and production team were finding it difficult to choose him a persona. "Pat was clearly getting frustrated by the process," said Gerry Davis, the show's script editor. "We'd talked over a number of ideas but it was becoming increasingly obvious that we were losing him. So I cleared the meeting and suggested that Pat play himself. "I'd noticed how Pat could be very fey, often avoiding giving a straight answer," explained Davis. "He reminded me of Jimmy Stuart in Destry Rides Again. When asked why he doesn't carry a gun Stuart says that they're dangerous, 'someone could get hurt', and I saw the Doctor very much in the mould. "Maintaining the character proved very difficult for the writers and he slowly lost that air of other-world mystery, which I think was a shame," said Davis. "But Pat was very good, very easy to work with." 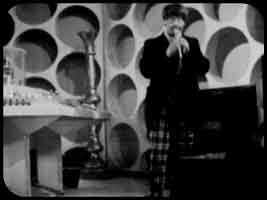 The Doctor's new appearance was built from the idea from the BBC's head of drama, Sydney Newman, who suggesting Troughton play the Doctor as a "cosmic hobo". And although the idea was fine-tuned by the wardrobe department over the first few stories - the trousers were taken in and the stovepipe hat disappeared - the basic down-at-heel look survived. But how to introduce the new Doctor to an audience fond of a white-haired and rather crotchety older Doctor? 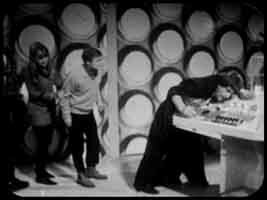 The only sensible answer was a Dalek story as show's most popular alien menace always added viewing figures. 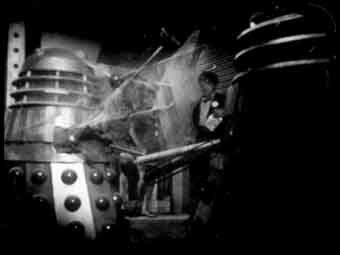 Perhaps a blitz of Dalek menace could help ease the new Doctor into the TARDIS while viewers were swept along by an exterminating tide of terror. David Whitaker, who had been Doctor Who's story editor during Season One, was commissioned to write The Destiny Of Doctor Who. He finished a first draft but could do no more work on it due to other commitments. Davis was occupied with other Doctor Who work and so turned to another former script editor, Dennis Spooner, to perform the much-needed revisions on the story, which had by this time gained the new title The Power Of The Daleks. Because little had been decided about the new Doctor's character, Whitaker had largely written his drafts for a generic Doctor; to make matters worse, the scripts were overlong and badly needed tightening up. Spooner performed the needed revisions, including tailoring the scripts to fit the character of Troughton's Doctor from notes by Davis. To the relief of everyone concerned - lot least Troughton himself - the new Doctor quickly settled in to the TARDIS, setting a president that helped the mystery Time Lord change his face several more times before the show's final demise. Strangely, no other TV programme has tried to repeat the trick.